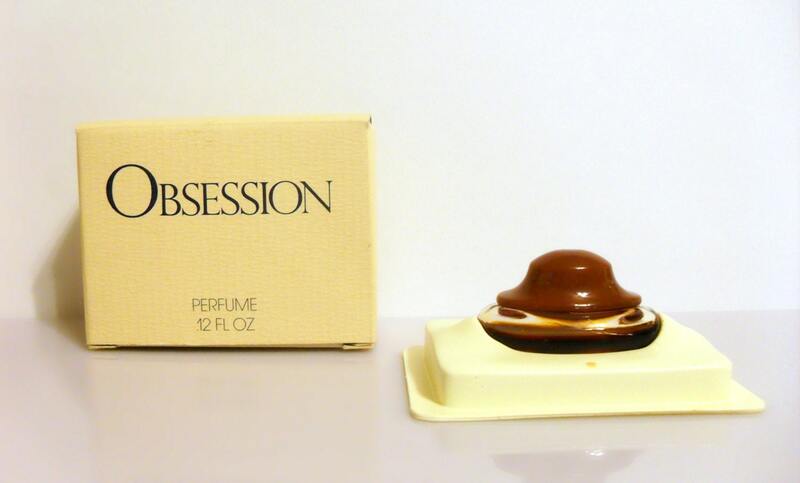 Vintage 1980s Obsession by Calvin Klein 0.12 oz Parfum Splash Mini Perfume in box. The bottle is about 50% full - see photo for the actual fill line. It is classified as a spicy oriental fragrance for women and was launched in 1985.